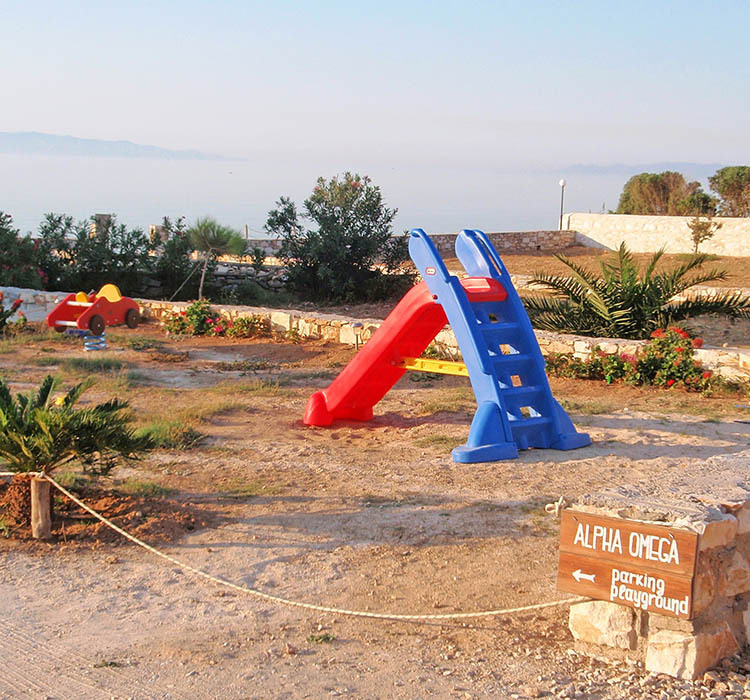 Alpha Omega Studios and Apartments is a great place for families with kids. 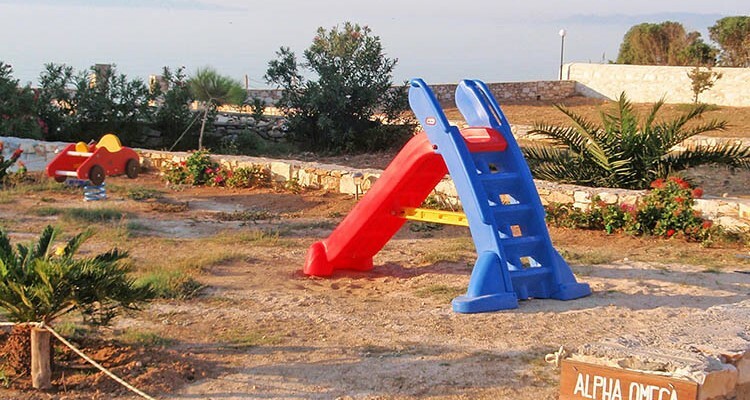 Children can play safely in the garden, the playground and shoot the ball the basketball net. The area is residential, with very little traffic, so older children can even reach the beach on their own.